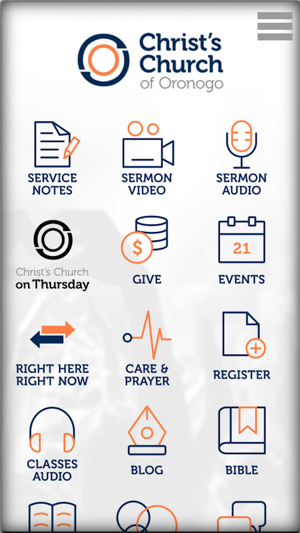 Get the official Christ's Church of Oronogo app to listen or watch sermons, see upcoming events, give online and much more! 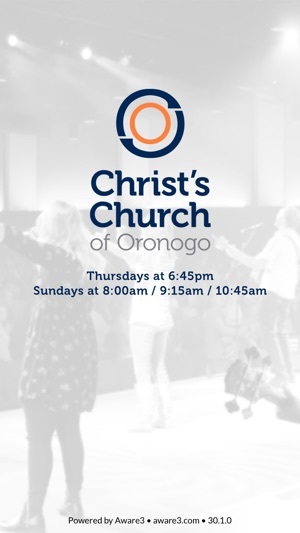 Christ's Church of Oronogo is a Christian church that loves God, preaches Christ, and is led by the Holy Spirit to love our neighbors. We gather for the inspiration of God through worship, the instruction of His Word through teaching, and the involvement of all through lasting relationships and selfless acts of service. We meet for worship on Thursdays at 6:45pm and Sunday at 8:00am, 9:15am, and 10:45am. During the school year we meet for Wednesday night activities for all ages at 6:30pm. Our mission is "preparing God's people to discover completeness in Christ." Great app! Very user friendly and lots of great and useful content.